Fitness Takeover: Decathlon Is Opening Multiple New Outlets Soon! Decathlon is expanding to satiate all your sporting needs! If there was ever a time to undertake a fitness journey, it’s now, and Decathlon should be your first stop. The largest sports retailer has decided to expand rapidly all over the city and it’s time we hurdle up for some impulsive, sporty buys! 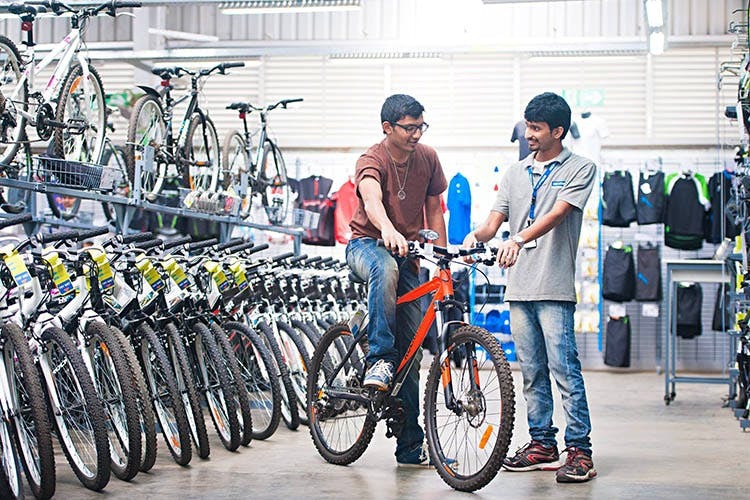 Decathlon plans to open up stores in Central Business District, Shahdara, EF3 Mall in Faridabad, Wegmans Business Park, Noida, and Palam Vihar, Gurgaon. Prepare yourself to sink into a sporty world as you enter one of these stores! Decathlon has managed to place itself right in the heart of sports fanatics and fitness freaks and we couldn’t be more excited about their advent into these new localities.